Pierre is an expert in the development and application of high-performance, innovative, and climate-responsive solutions ranges from industry to data centres. Pierre has also worked extensively in India, to implement projects related to energy efficiency and renewable energies in various economic sectors since the early 1980s. Specialization: Energy-efficient buildings, solar energy applications, climate-responsive solutions. Dario carries with him over 20 years of experience and has worked on large industrial, office and residential buildings., He also has rich experience in designing and optimizing building management systms for complex installations. Specialization: Fluid dynamics; HVAC (heating, ventilation, and air-conditioning), and building dynamic energy simulation for low-energy and high-performance buildings. Dominique is an architect with over 30 years of experience in the field of energy efficiency in buildings. He has led hundreds of studies in the domain and developed numerous energy concepts for a range of buildings. Over the years, Dominique has become a federal expert in building physics for new and existing buildings, particularly historical monuments. Specialization: Vernacular architectural practices, daylight optimization, natural ventilation, thermal comfort, and bioclimatic design. She has three years of experience, largely in corporate strategy, business planning and project management. Education: Electronics and Communication Engineering from Rajasthan Technical University and M.B.A. from Indian Institute of Management, Lucknow. Founder and Director, Greentech Knowledge Solutions Pvt. Ltd.
Sameer is a mechanical engineer by training and works on building design, building materials and renewable energy. He has previous experience in industry (ONGC) and research & consulting (TERI). Specialization: Program management, Energy analysis of systems, Energy monitoring, Policy research, Technical training. Education: BE (Mechanical) - NIT, Jaipur; M. Tech & Ph.D. (Energy Systems) - IIT, Bombay. Principal Consultant, Greentech Knowledge Solutions Pvt. Ltd.
Prashant is a mechanical engineer by training and works primarily on building design and renewable energy. He has previous experience in research & consulting (TERI and IIEC). He is a BEE certified Energy Auditor. Education: B. Tech (Mechanical) - NIT, Raipur and M. Tech. (Energy Systems) - IIT, Bombay. Senior Programme Officer, Greentech Knowledge Solutions Pvt. Ltd.
Saswati is an architect by training and works on building design. 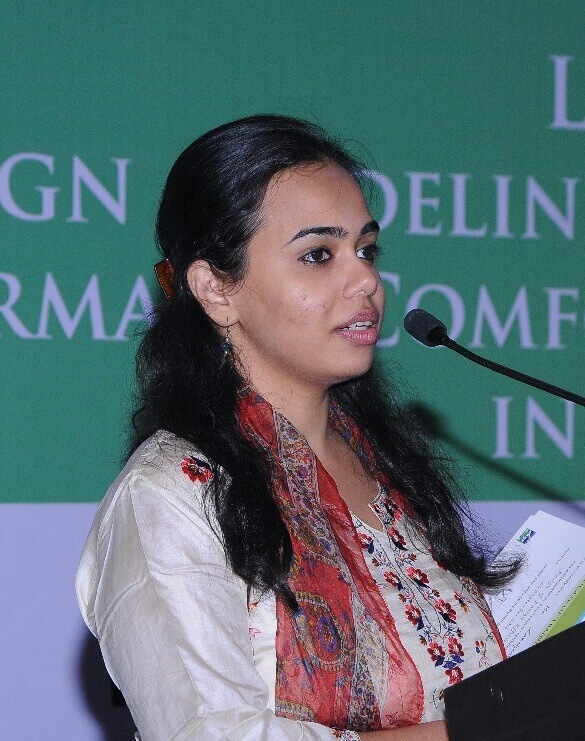 She has previous experience in an architectural firm (Deependra Prashad Architects & Planners). She is a certified GRIHA trainer and evaluator. Specialization: Energy efficient building design, Program management, Building energy code development, Day-light analysis. Education: B. Arch - NIT, Bhopal and M. Plan - SPA, Delhi. Programme Officer, Greentech Knowledge Solutions Pvt. Ltd.
Vernica is an architect by training and works on building design. She has previous experience in research & consulting (GreenTree Building Energy). She is an IGBC Accredited Professional. Education: B. Arch - U.P. Technical University, Lucknow and MA (Public Policy & Sustainable Development) - TERI University, New Delhi. 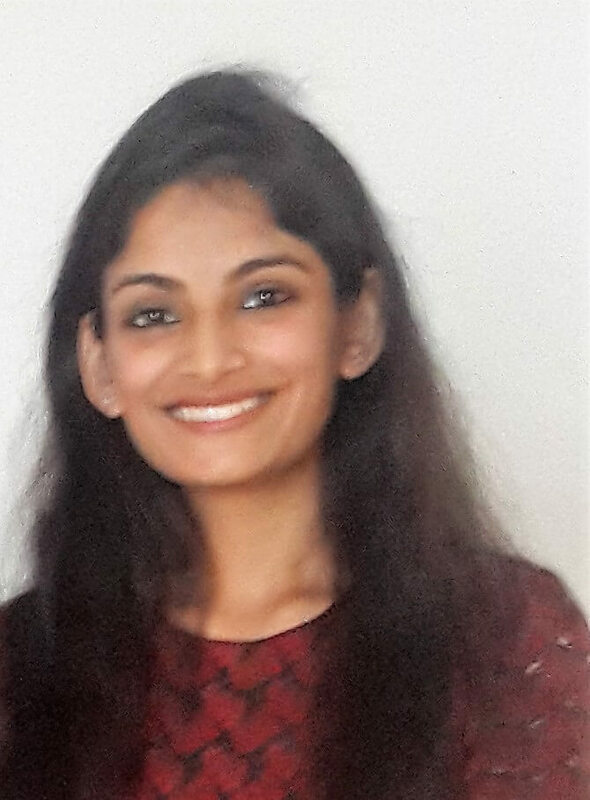 Vasudha is an architect by training and works on building design as part of the BEEP team. Education: B. Arch - KR Mangalam SAP, New Delhi and M. Tech (Building Energy Performance) - CEPT University, Ahmedabad. Andreas Binkert has over 30 years of architectural and teaching experience in Switzerland, USA, and Canada. He graduated from the Federal Institute of Technology of Zurich. He is a partner at Nüesch Development and the manager of its Zurich and Lucerne offices. His recent works include the planning and development of EbiSquare, the lifestyle mall in Lucerne, Switzerland. Armin Binz has graduated as an architect from the Swiss Federal Institute of Technology (ETH) and runs a consulting firm for applied building physics for several years .He turned his lectureship into a full professorship 6 years ago. He is also a Senior Minergie Consultant and founding member of Minergie Innternational. Claude Alain Roulet is a building physicist with almost 50 years of experience in materials and energy. He has been a researcher and Professor in the Institute of Technology in Lausanne and has worked not only on thermal insulation materials, but also on ventilation systems and indoor environmental air quality. Roulet assisted the Swiss Federal Government in enforcing testing and quality assurance mechanisms for building materials, particularly thermal insulation materials. He has published several books and manuals on energy-efficient building design. Christoph Ospelt began as a research assistant at the 'Solar Energy and Building Physics Laboratory’ of the Federal Institute of Technology of Lausanne (EPFL). Later, his research at MIT focused on Life Cycle Assessment in the context of buildings and on the sustainability of buildings. Christoph Ospelt founded Lenum AG in Liechtenstein, and later partnered with EK Energiekonzepte in Zurich. His firm specializes on the sustainability of the built environment, energy efficiency, and the use of renewable energy. Both companies have assisted in designing many advanced prize-winning sustainable buildings, including Positive-energy Buildings, Minergie, Passive and Eco-Buildings. Heinrich Gugerli has many years of experience as a structural engineer, as well as in research for energy efficiency, ecology in building design and facility management. He has been Head of the Sustainable Building Group in the Building Department and is responsible for energy and resource efficiency as well as indoor environmental quality in the city-owned buildings. He also coordinated the task on municipal buildings of the City Council’s goal ‘Sustainable City of Zurich – on the way to the 2000-Watt-Society’ for the term 2006 to 2010. He lectures regularly at the ETH and various technical colleges. At present, Heinrich Gugerli is Vice President of Eco-bau, which promotes ecological and healthy buildings. Pierre Hollmuller is a senior research scientist at the Energy Group, Institute of Environmental Science, University of Geneva. Over the years, he has carried out energy and economic analysis of in-situ innovative energy systems in the built environment. His international experience ranges from research and academia to consultancy and grass-roots NGO work. He has developed guidelines and thumb rules for engineers and architects that are widely used. For many years, his research has focused on the design and implementation of earth air tunnels for heating and cooling purposes. His work is based on diverse complementary approaches, such as monitoring and evaluation of real-scale installations, mathematical modeling, numerical simulation, and system analysis. Willi Frei has over 40 years of experience in architectural practice in Switzerland and internationally. He is a co-founder of Bauart, which is one of Switzerland’s largest architectural agencies, renowned for its achievements in the field of energy-efficient sustainable buildings. He has also worked on the design of the Federal Office for Statistics in Neuchatel, the Marin low-energy commercial centre, and the Ecoparc in Neuchâtel, all of which showcase energy-efficient and innovative applications for high-performance modern buildings.